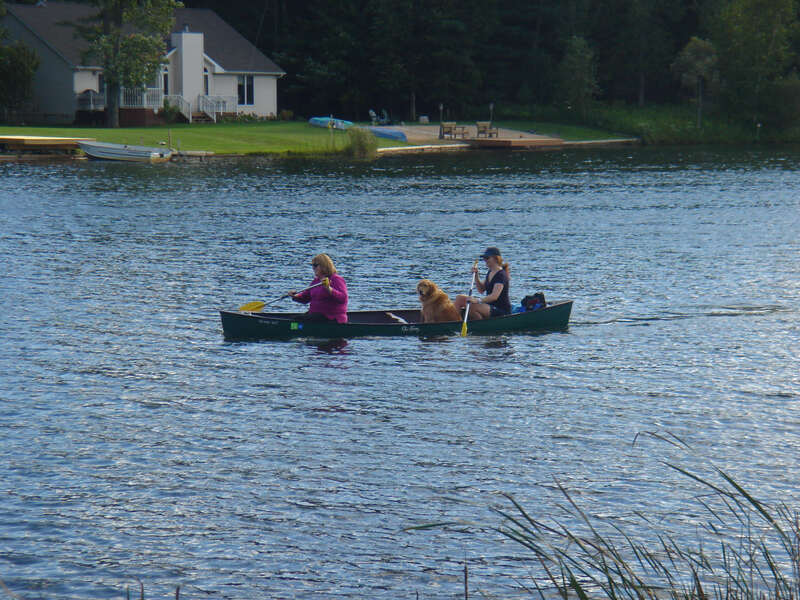 This weekend we spent some time up at my mom’s lake house so we could try out her new canoe. My mom bought us all some official water shoes. Guess which ones are mine! 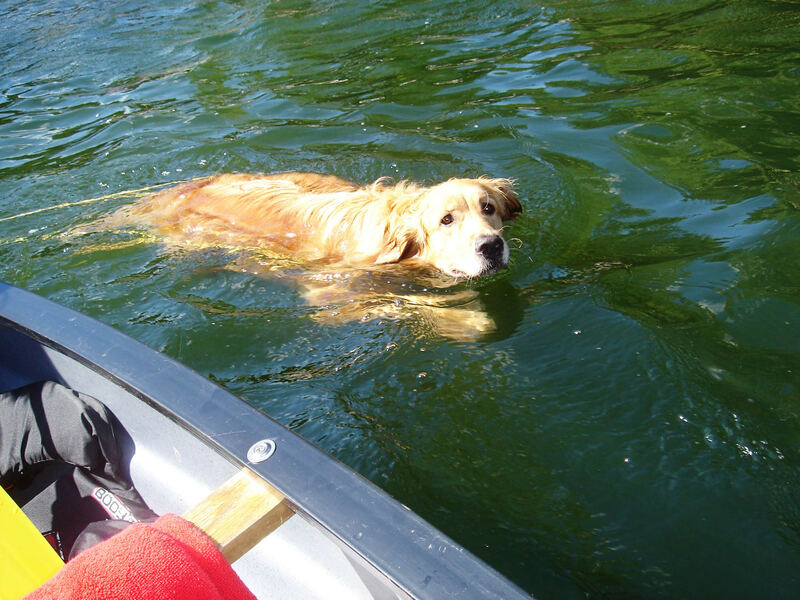 At first Wrigley swam next to us in the canoe. He was lovin’ it. After he tired out (or more like stressed me out enough) we put him in the canoe with us. He nearly made us capsize! Once he settled down we were good to go. OMG. 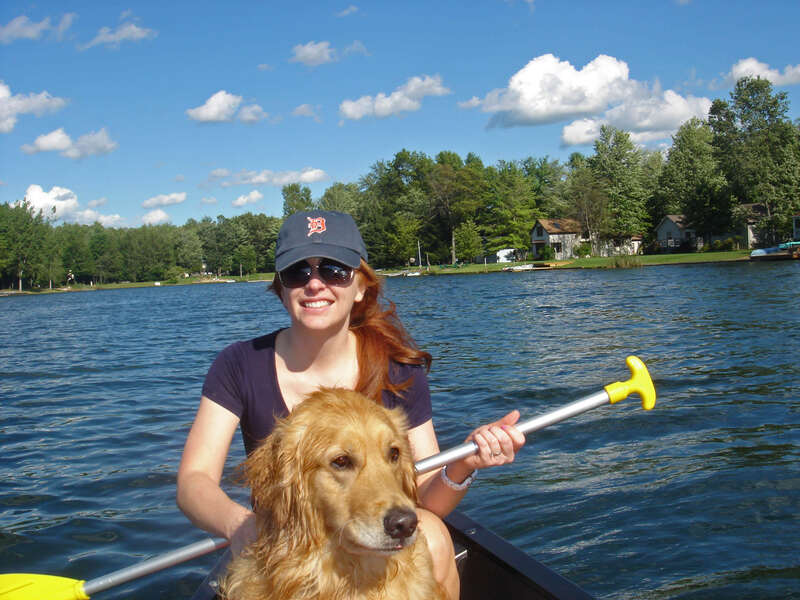 I LOVE that Wrigley canoes with you!! Precious!!! So cute, sounds like such a relaxing day! I want to come canoeing with you! HOW MUCH FUN! Looks like so much fun! I love your red water shoes! aww so cute!!! I really hope that one day we can try Miley out in some calm waters, I think she would love it! Our golden at my Mom's house LOVES the water! Looks like a terrific day! SO cute! i adore the fact that you guys have a canoe!! Looks like a great time! Love that pic of u and the pup. So cute! Love the water shoes. They are a must for the lake. Looks like you had so much fun with your mom.